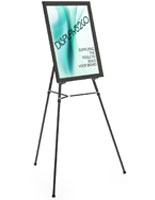 These black snap frames w/ tripod design has telescoping legs that adjust to the user's preferred height (40.75" to 72"), so prints can be viewed in a crowded venue. 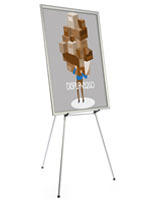 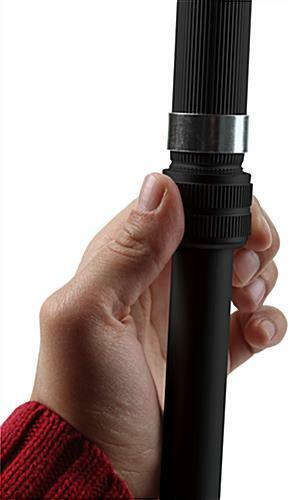 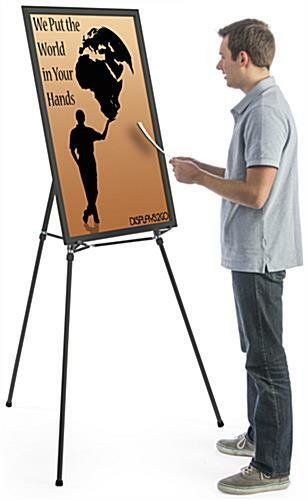 These multifunctional poster hanging tools feature an attachable brace for hanging art or charts. 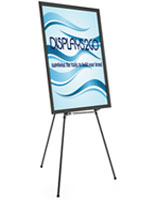 These snap frames w/ tripod design, like sign holders, have retractible legs for storage and transport. 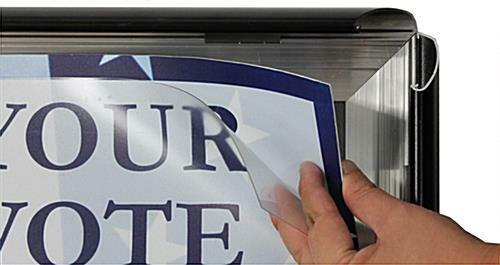 These poster boards are constructed of durable aluminum that lasts for years! 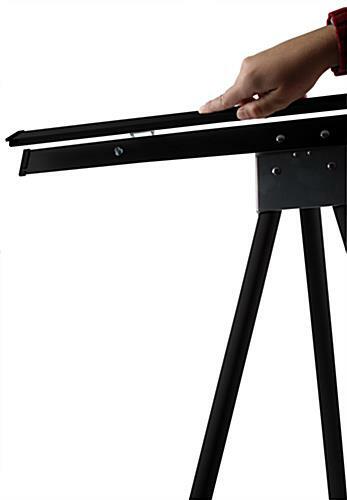 These floor standing frames w/ tripod design that are retail store fixtures are sold inexpensively at this reputable website.